Massachusetts Marijuana Sales Likely Only Days Away After Regulators OK Labs . The state Cannabis Control Commission has cleared two licensed marijuana testing laboratories for operations, paving the way for sales to begin within a matter of days. CDX Analytics and MCR Labs received "commence full operations" notices Wednesday. The move is critical since pot shops can only sell marijuana that has been tested for purity and potency. New York's Path to Legalization Just Got a Whole Lot Easier . Democrats took control of the state Senate in Tuesday's elections, removing a Republican-controlled Senate as a major obstacle to pushing a legalization bill through the legislature. Gov. Andrew Cuomo (D), who also won a third term in the elections, is now a proponent of legalization, and Democratic lawmakers in Albany have already proposed bills that would legalize weed. Marijuana should move next year at the statehouse. DC Could Finally Allow Legal Pot Sales After Democrats Take House . With Democrats back in control of the House after Tuesday's elections, the path has become more promising for the District of Colombia to embrace full commercial legalization of marijuana. DC residents voted for legalization in 2014, but the Republican House has consistently blocked any moves toward creating a system of taxed and regulated marijuana commerce. At a post-Election Day news conference, Mayor Muriel Bowser reiterated her commitment to establishing a regulatory scheme for marijuana sales early next year. City council members cautioned, though, that removing congressional riders and setting up a legal weed market in the city could take at least a year. Jeff Sessions Out as Attorney General . Attorney General Jeff Sessions resigned at President Trump's request Wednesday after less than two years in office. 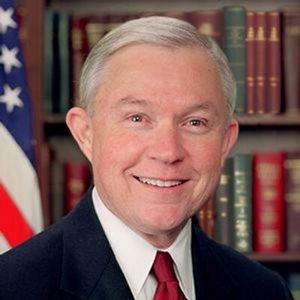 Sessions pursued an aggressive agenda to escalate the war on drugs by ramping up sentencing for drug offenses, restarting destructive asset forfeiture practices, and threatening crackdowns on marijuana legalization and supervised consumption services. Sessions also undermined the work of the Department's Civil Rights Division, opposing steps to hold police accountable for abuses, including killings of African Americans. Trump appointed Matthew Whitaker as acting attorney general and will now select a new AG, who must be approved by the Senate.